Four teens questioned as police investigate whether incident was gang-related. Photo courtesy of Unified Police Department Unified Police were investigating the fatal shooting of a 19-year-old woman early Monday in Taylorsville. 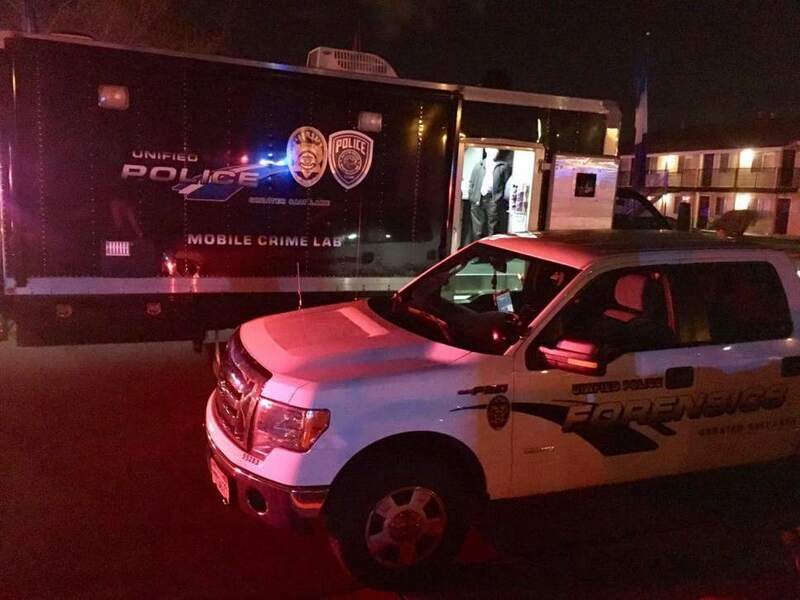 Unified Police are investigating if a fatal shooting in the parking lot of a Taylorsville apartment complex early Monday morning was gang-related. UPD Lt. Brian Lohrke said a 911 "shots fired" call came in at 1:14 a.m. from the Callaway Apartments, near 1100 West and 3900 South. Arriving officers found 19-year-old Maria Alegandra Ayala of West Valley City dead inside a car that had collided with a parked vehicle. Lohrke said she had been shot in the head, there was a bullet hole in the windshield and several shell casings were found nearby. He said the car apparently was moving when Ayala was shot. As officers processed the scene, public safety dispatchers were tipped that four teenagers  one wearing a bloody shirt  had been seen going into an apartment at the complex. Police went to the unit and took the four into custody, but they were later either returned to guardians or booked into juvenile detention on pickup orders, UPD said Monday. Lohrke said the teens  three boys and a girl, 14 and 15  had been in or near the car at the time of the shooting. But none of them were arrested or charged in connection with the shooting. Three of the four were gang members, and at least two had been listed as runaways, Lohrke said. Investigators believe Ayala and the teens knew each other but haven&apos;t determined whether the killing was gang-related, Lohrke said. He said the teens appeared to have been staying at one of the apartment units at the complex.